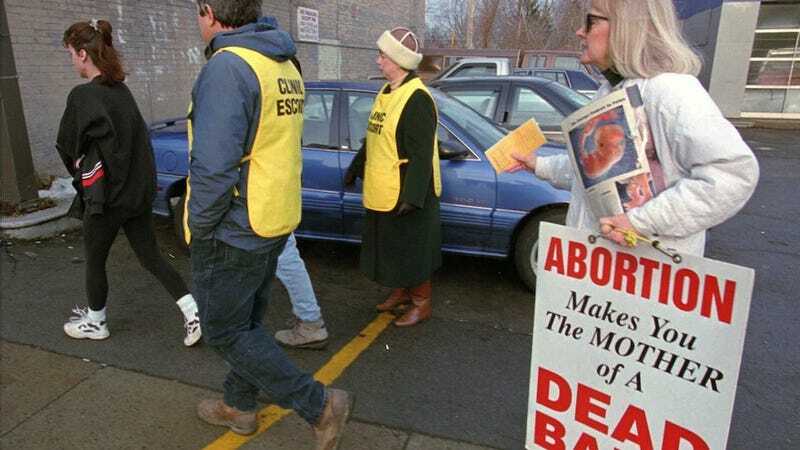 In June, the Supreme Court's striking down of Massachusetts's abortion clinic buffer zone law put various clinics in the country and the lawmakers who intended to protect these clinics somewhere between complete limbo and a tizzy. But San Francisco lawmakers and police are working together to find a balance that keeps clinics safe from aggressive protesters while guaranteeing freedom of speech. Supervisor David Campos announced a joint-effort with San Francisco's police department along with Planned Parenthood and the City Attorney's Office, working on legislation that would act as an anti-harassment ordinance. The legislation seeks to prevent the more aggressive harassment that protesters launch at abortion clinics, namely following patients or clinic employees around. It would give police the authority to temporarily move protesters away from a clinic, allowing them to return. City Code Section 122 says that it is "unlawful for any person to engage in aggressive pursuit of another." Aggressive pursuit is defined as "willful, malicious or repeated following or harassment of another person." It also includes communications not in person with the "intent to cause annoyance, intimidation or fear on the part of the person being pursued." Violators could face a fine of up to $500, up to six months in County Jail or both. No one has been cited or arrested so far.